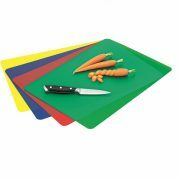 View cart “Avanti- Flexible Cutting Mats 4 Piece Set (SH076).” has been added to your cart. ORGANISE AT The Storage Shop, storage solutions. Online shopping for Kitchen Bins, Drawer organisers, Kitchen cabinet interiors and accessories, Caravan ideas, Laundry storage, Elfa Basket Systems & Wardrobe shelving systems, General Homewares, Bathroom and Childrens Storage, Wine racks & Roof Space storage.